OM VISA Consultancy - Global Immigration, Students, Visitor, Business & Work VISA Consultants: Study in Singapore, and make your dream come true with the help of Om International the leading visa consultancy. 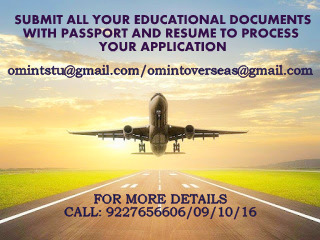 Study in Singapore, and make your dream come true with the help of Om International the leading visa consultancy. 8. Paid Internship Minimum 850$ To 1200$ approx. in INR ( 40,000 to 70,000) Student Can Earn a month.